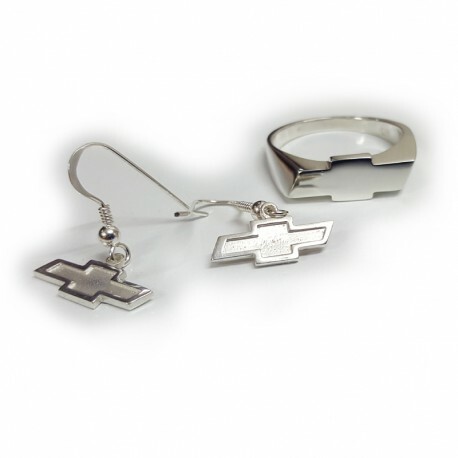 Chevy Bowtie logo earrings. These handmade .925 Sterling silver earrings are modeled after the Chevrolet Bowtie. Also available in yellow gold or with the bow tie design on a disc as a pendant. 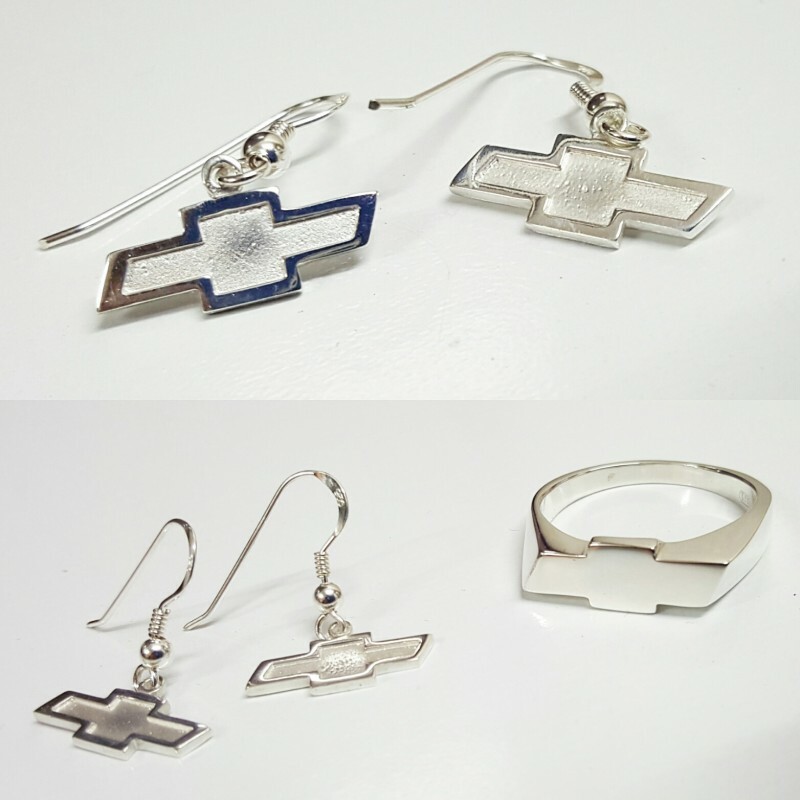 Plenty of matching Chevrolet rings to match!! Shown here these replica gaskets are crafted from special sterling silver and are also available in yellow, rose or white gold in 9ct, 18ct or 24ct or alternatively in platinum.